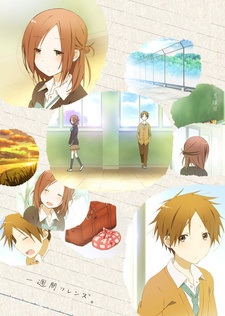 The story revolves around Yuki, a boy who wants to become friends with his classmate and desk neighbor Kaori. However, she gently declines his friendship, saying, “But, my... Memories of my friends disappear in a week...” Even so, Yuki wants to become her friend, and so the two become friends over and over again as the weeks pass. Episode 1 - Beginning of a Friendship. Episode 9 - Last Day with Friends.